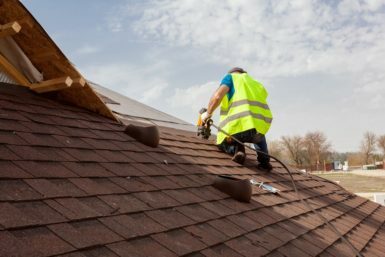 Residents of the O’Fallon, Illinois area who need home roofing repair or replacement services know they can count on the trusted experts at Daech & Bauer Roofing. We’re a licensed, bonded, and insured contractor that offers comprehensive service, and we’re proud to have been named one of the Top 100 Roofing Contractors in the United States by Roofing Contractor magazine. Our passion for roofing is reflected in the quality of service we provide as well as our efficiency, and we offer products from the industry’s top manufacturers, including Owens Corning™ and CertainTeed. What’s more, we back our work with a five-year labor warranty – in addition to manufacturer product warranties – to give you added peace of mind about your investment in your home. If you would like to schedule a roofing consultation at your home in the O’Fallon, IL area, contact Daech & Bauer Roofing today. Financing plans featuring low monthly payments are available to qualified homeowners.